This bell tower refurbishment required a complete overall after years of neglect. Several of the timber posts required repairs alongside strength bracing due to wind loading. The original tongue and groove boarding was removed and set aside for re-use where possible. Our approach to the curved roof was to improve on the previous detailing which had allowed panels to slip off the roof over time. By dividing the roof panels into smaller sections we were able to ensure adequate head fixing could be achieved. 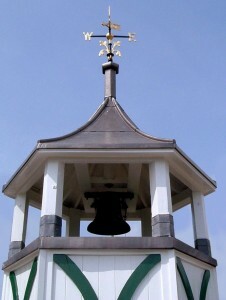 Our scope of works included the refurbishment of the weather vane and cardinal points. This Victorian roof vent required complete reconstruction due to it’s decayed state. The original leadwork had failed due to lack of adequate fixings, which gradually caused panels to slip off. This allowed water to penetrate the fabric and cause severe decay. The vent was rebuilt using materials that were in keeping with the original fabric of the structure. A modern addition to the vent was the vented section at the top of the pitched roof junction, this allows any trapped warm air to flush through the structure. This lantern light in Rochestor was a very challenging but enjoyable project to work on. Various attempts to prevent water ingress using an assortment of products had all failed, causing damage to the hand carved circular staircase below. Our design suggestions were taken onboard by the clients and we sought to improve on this very unique roof light. 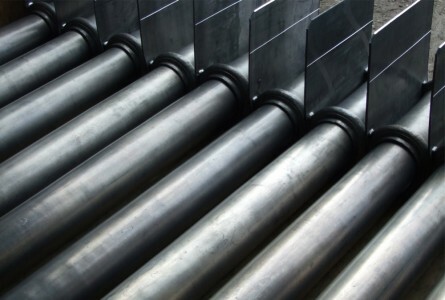 Lead offered a workable and flexible solution that could be relied for many years to come. Our aim was to provide a weathertight cladding solution whilst incorporating a secret gutter detail into the slate roof slope. The glazing bars were individually weathered with prefabricated lead capping sections made in our workshop. Oast Houses were never designed to be inhabited, so cowl tops are often an area of the roof that causes headaches. 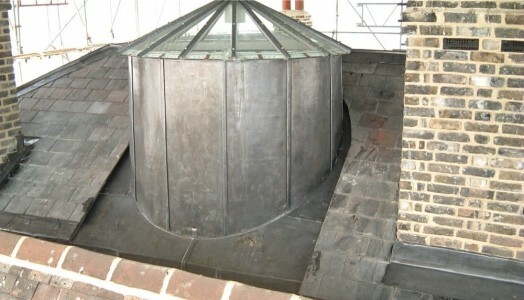 Modern Oast cowl tops are generally made of fiberglass, which in some cases is also used to weather the flat roof area. 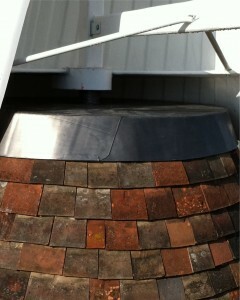 In this particular instance the client preferred the aesthetic and long term reliability of lead over fiberglass. 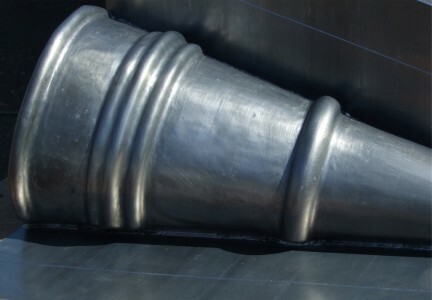 The versatility of lead sheet also allows us to incorporate the correct flashing detail to weather the last course of clay peg tiles and fabricate a weather collar around the cowl spindle. 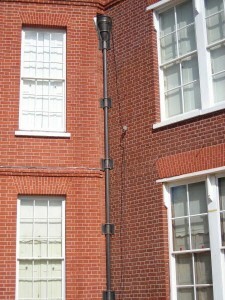 We fabricated and installed 2 drops of these hoppers and downpipes ar Barrow Green Court, Surrey. Whilst undertaking various other leadwork to this property we were asked by the Architects to inspect the old hoppers and pipes, sadly they were beyond repair or refurbishment. The main issues seemed to have been the successive poor quality of repairs and inadequate fixings securing the downpipes to the wall. We were instructed to manufacture new replacements but they were to be detailed replicas, down the the very last detail. The original hoppers had been bossed and formed around a timber mandril, so we used this technique to create the replacements. Hoppers and downpipes were fixed using stainless steel coach bolts driven through stainless steel plates, which spread the weight load. Sand casting was utilised to create a exact match of the original pipe collars.